It’s a day you’ve imagined forever – the day you finally get to tie the knot with the love of your life and start your next chapter together. You’ll remember this moment for the rest of your life, so why not make it as beautiful as possible. With some of the most astonishing views of the Caribbean in all the Bahamas hotels on the beach, Paradise Island Beach Club will mesmerize you and your guests into a state of relaxation and love-induced euphoria. Let the warm white sand softly wash over your feet as you take a romantic oceanside walk with your better half and get ready for your big day. What better place than the Bahamas is there for a romantic destination wedding? With the tranquil turquoise water as a backdrop, pronounce your love and let the party begin! Before the excitement commences, however, be sure to take advantage of the amenities that make this location so ideal. In the time leading up to the all-important kiss, relax together and get yourself in a calm state of mind. The excellent and friendly staff at the Paradise Island Beach Club can help you out here. Enjoy a lovely spa day at the resort, and partake in a therapeutic couples massage right on the beach. Get pampered as you listen to the gentle waves breaking rhythmically on the beach. At Paradise Island Beach Club, you and your guests’ happiness is our only goal. Plan your destination wedding at one of the most gorgeous Bahamas hotels on the beach, and we will take care of the hard work for you! Our onsite event planners will meet with you and make sure that everything is just how you want it. Your wedding day is important, and we are here to help you in any way possible! Whether it be organizing the catering from the resort’s restaurant, or booking local professionals such as DJ’s, decorators, florists, and photographers, we will make your vision come to life. 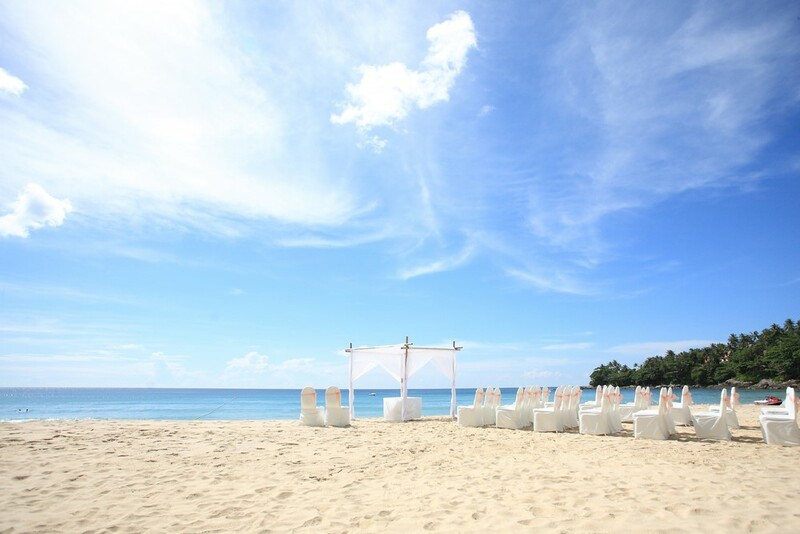 Planning your wedding or vow renewal service with Paradise Island Beach Club will be a stress-free and exciting adventure! After the big day is over, once the family and friends have cleared the dance floor and the cake has all been eaten, retire with your new spouse in hand to your luxurious and comfortable private villa. Let the Caribbean breeze carry you to your master bedroom, featuring a king-sized bed and a large en-suite bath. In the morning, leisurely wake up with the love of your life and lounge on the private balcony overlooking the beach where your wedding has just taken place. Make your way down to the outdoor pool and enjoy a light brunch, taking advantage of the cabana service. As an added perk, and as a thank-you for sharing your special day with us, you and your guests will receive discounted villa rates! All of these wonderful accommodations make your event at Paradise Island Beach Club one of the best values of all the Bahamas hotels on the beach. If you are searching for the best location for your Bahamas destination wedding, then look no further. Let us help make your wedding experience the best it can be.